Jackie Kittel OTR/L, CIYT teaches at Sunflower yoga in Spokane, Washington. She began her studies of Iyengar yoga in 1990. She is a Certified Iyengar Yoga Teacher. 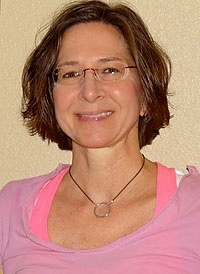 She is a Certified Yoga Therapist through the International Association of Yoga Therapists. Jackie is a graduate of the University of Pittsburgh with a Bachelor of Science degree in Occupational Therapy. She has benefited greatly from Elise’s approach to help manage her own back pain and scoliosis. She strives to help each student reach their full potential through the practices of Iyengar yoga. In addition to teaching and practicing yoga, Jackie enjoys hiking and biking in the great outdoors of the Pacific Northwest. 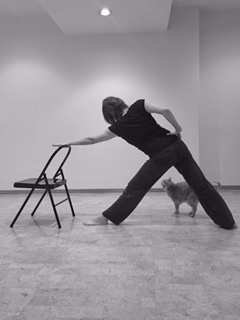 Jackie teaches group Iyengar yoga classes and offers private sessions. ** Jackie is an Iyengar Certified Instructor who has done additional training with Elise to become a Yoga for Scoliosis certified instructor. She is highly qualified because of her Iyengar training and has a deep understanding of how to work with scoliosis.